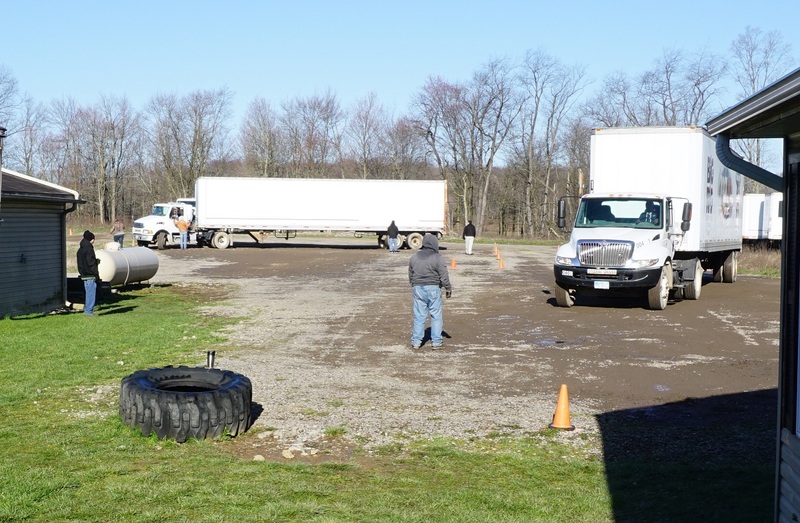 Each student receives 40 hours of classroom time and at least 40 hours of actual behind-the-wheel instruction on the Big Rig practice yard and on the road. Total instructional time may vary between 80 hours and 160 hours depending on the number of students in the class. The day course is taught from Monday through Friday and consists of eight hour days. Start and end times may vary with the seasons and the weather conditions. The course lasts three to four weeks, depending on the number of students in the class. 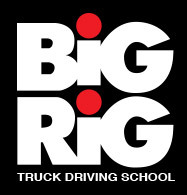 Backing and shifting Techniques; Coupling and uncoupling; Trouble Shooting and Emergency Repairs; Placement Counseling; Hours of Service Requirements; Trip Planning & Map Reading; Commercial Drivers License; Defensive Driving; Vehicle Systems; Preventive Maintenance and Servicing; Sliding Tandems and fifth Wheels. 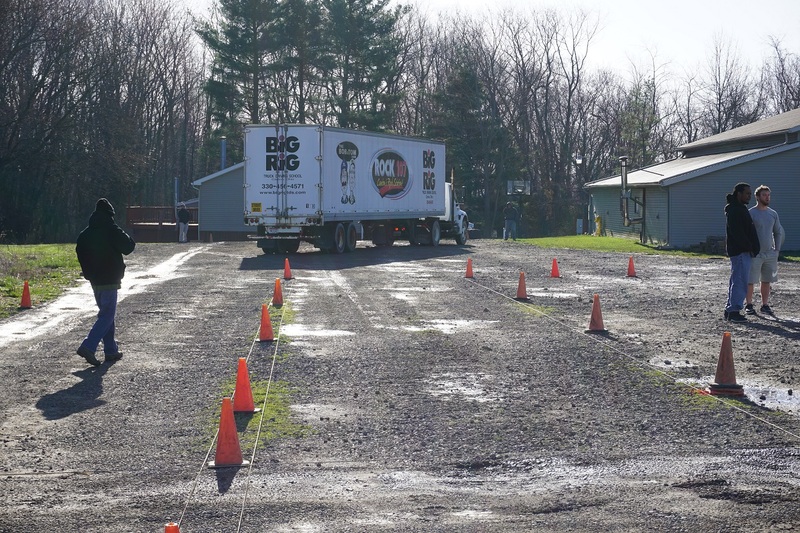 Vehicle Control Systems; Vehicle Inspections; Turns; Straight Line Backing; Coupling and Uncoupling; Backing Maneuvers; Offset Lane Changes; Parallel Parking; Alley Dock Maneuver. 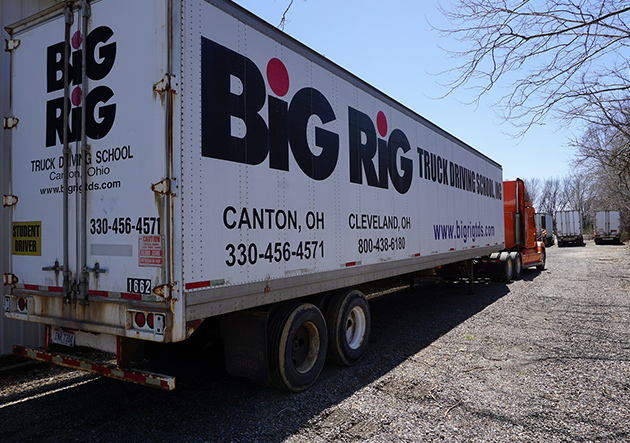 Late Model Equipment, Vans; Transmission Shifting Patterns; Left and Right Turns, Handling Curves, Bridges and Overpasses, Entering & Exiting Expressways, Lane Changes, Stops and Starts on Upgrades and Downgrades, Railroad Crossings, Intersections, Traffic Control Devices. Please give us some basic information about yourself, click “Submit”, and you will have the Online Student Catalog. All information is mandatory. Thank you. Drop us a quick line and we will get in touch with you shortly.